How do I do it? How do other rehabbers do it? Why do we do it? We love it! That about sums it up. Get the whole story by clicking on link below. The fact is, we already know what's going on with the economy, it's on every TV news channel every day. Take a look at nature with the honey bees and ants. Regardless of the weather or their interruptions; they never stop working! Some of us have been through tough economies before! The simple answer is "go with the flow". My best answer is, "I make changes before change happens to Me"
One of the changes I made 16 months ago was to put my rehabbing business on the internet before the economy took a dive. I want to warn you, building a web business is as tuff as building a real estate investor business, however it's quite exciting. 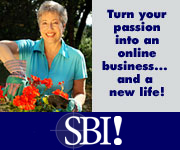 A web business can be about your hobby or passion, from fried green tomatoes to super structures. The reason I'm taking the global direction of a web business is to create money from knowledge and experience to invest those dollars into more rehab projects. Just like RichDad PoorDad said, "create money first! ", then invest in real estate. My goal is to No longer be a steward of the lender! Cash is King in any economic market, good or bad. If you would like to check out a web business, click on the link web business, but I warn you, like anything of value, it's a lot of work. Oh yea, it's $299 per year for absolutely everything you need, complete training, the domain and hosting - everything is included! I feel sorry for some of the people buying more real estate guru programs that simply don't work, or the person buying them doesn't really have the skills or contacts to implement those programs. I get a lot of questions at the Ask-The-Rehabber site. It's a hard place for me to be in when someone pays anywhere from $300 to $15,000 for a program or a seminar that doesn't work for them, and then they ask me all the questions that what they paid for, should have answered. I speak at one seminar every month to a group of real estate investors and rehabbers. I've also answered about 15 questions in the past month from visitors on the website from different states and countries. The message is: Don't buy a Guru program that is To Good to be True. When the ad says, "Wouldn't it be nice if"
Most of us in the business for a while know better. As for the new investors and rehabbers, well, rehabbing is a lot of work! If you enjoy the work, then it's fun - not work! We are close to 1000 visitors per month already from about 8 countries, and we're only getting started. I would like to thank everyone who's participating with questions, it's been a real pleasure. The Ask-The-Rehabber site is developing directly from those questions and from trade secretes visitors are offering. The interest and participation is wide spread! This is bigger than I could have ever expected. This is going to be a tremendous networking hub to share our ideas and strategies on how to save money, save time, make money, and enjoy a fruitful and productive lifestyle of Rehabbing and Real Estate Investing by helping each other from all across the globe. I can certainly continue with what I'm doing without concerning myself with the Government Bail-Out "stuff" (to put it nicely) that the News Media is all in a frenzy about these days. In my opinion, looking for a bail out is like looking backwards and not moving forward. In short, "cut your losses" or "accept your losses" and move on. "On to the next project" I always say. So Where Is Our Bail Out? 1) Reduce your mortgage loan interest rates, if you can qualify. 2) If you don't qualify for an interest rate reduction from refinancing, you can get a loan modification interest rate reduction with a hard ship letter explaining your property is worth less than you owe or a loss of a job and or income. Call your Lender for details. 3) Walk away or better, stop paying, live for free for the duration of the foreclosure process and move into one of your other properties. Call your Attorney! Rather than walking away from an upside down property, I have a business plan in motion to solve that problem. I'm looking forward, solving problems, and not looking back! I would like see my plan through just to see if I can fix it rather than tuck-tail and walk away before it's really necessary. If my plan doesn't work and I have to walk away from a property, well that's another story down the road. So my bail out is reduced interest rates - I like it. This is not legal advice! I recommend you talk to your own Attorney, Lenders, Brokers, and Agents to see where you can take advantage of big savings for your situation. 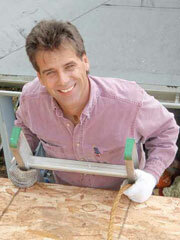 You can have your own web page at Ask-The-Rehabber! My goal is to have it up and running in the next couple of weeks. About Rehabbing and Real Estate Investing. This idea came as a suggestion that could help Ask-The-Rehabber visitors to get involved and get published. It sounds fun and easy! You can publish your stories, your photos, and your favorite experiences, among a community of peers and friends and become an author without any cost or huge effort. I'm told this method lends better credibility than a Social Networking method like FaceBook, Twitter and the alike. If you enjoy this kind of participation, you may become a regular contributing author for the site. I'll let you know as soon as I get the details worked out. Please leave your comments and suggestions by hitting reply and sending me an email. I read every one of these emails; this is how the Ask-The-Rehabber site was developed in the first place. P.S. A Professional Realtor® can be one of your best assets on your team! If you don't have one, I'm set up with a huge Referral Network that will provide you a full time Professional in the U.S.A., Canada, and or Mexico. Copyright 2008-2012 Ask-The-Rehabber® All Rights Reserved. and entering into a real estate transaction. I promise to use it only to send you Ask-The-Rehabber-News.